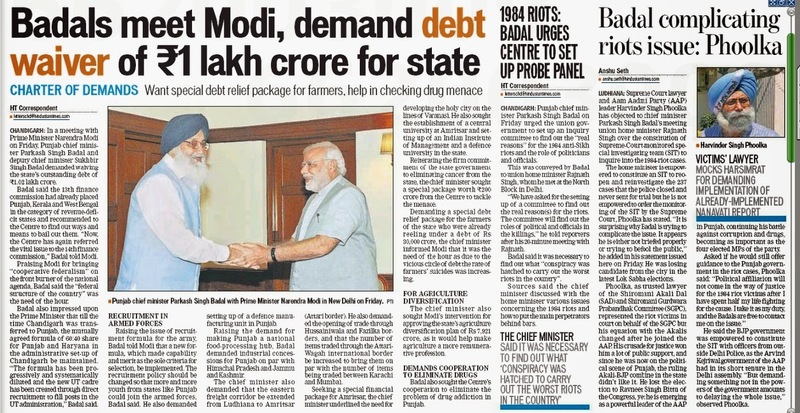 Punjab Chief Minister Parkash Singh Badal today met Prime Minister Narendra Modi and sought a probe under the Commission of Inquiry Act into the violence against the Sikhs in Delhi in 1984. He urged that the " conspiracy" behind the riots be included in the terms of reference of the inquiry. He said "dedicated courts" should be set up to expedite cases in which FIRs had been registered and challans submitted. 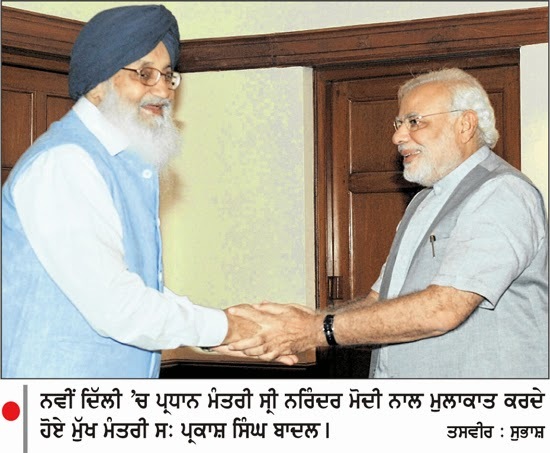 Badal was with Modi for more about 40 minutes. He submitted a memorandum on demands pertaining to the state and the Sikh community. 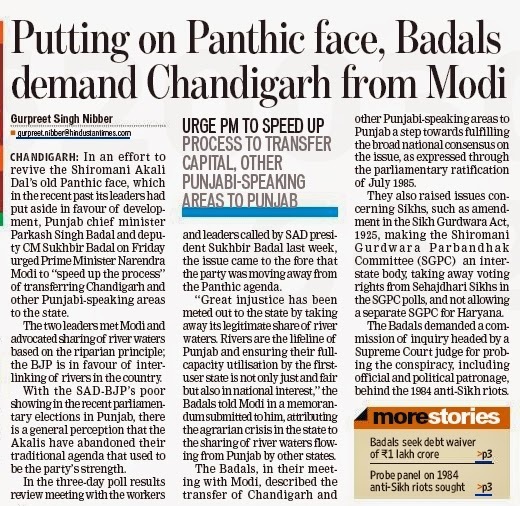 Badal said the inquiry commission should be told to complete its investigation within six months. He urged that cases be re-opened and reviewed. He also sought a rehabilitation package for the riot victims. The Chief Minister expressed resentment at the Haryana Government's move to set up a separate Gurdwara Prabandhak Committee, which he termed as "dangerous." He urged that Parliament enact a legislation to ensure SGPC supremacy in areas that come under the jurisdiction of the Sikh Gurdwara Act, 1925.